Looking for something fun to do this weekend? Are you constantly asking “What’s Happening, Hancock County?” There are plenty of things to do in Findlay and Hancock County this weekend! Friday, 11 – 1 p.m. The Courier and 106.3 are celebrating 419 Day with a celebration at the Marathon Center for the Performing Arts! There will be swag bags, giveaways, kids zone, free food, and more! Children’s Activities include a 419 Day coloring contest sponsored by Heavenly Pizza, a photo booth with a face cutout that the parents can take photos of their kids, a prize wheel and fresh popped popcorn. Admission is free, however a donation of a canned good is encouraged. More 419 Day Fun: In addition, many local locations are offering special discounts throughout the day on April 19. See all the specials here! Friday, 6 – 8 p.m.
Saturday, 9:45 – 11 a.m.
Saturday, 11 – 11:30 a.m. While some Easter Brunch and dinner locations are sold out – you’re in luck! A couple are still available. Reservations are required for Easter Brunch at the Hancock Hotel and limited seatings are available at 10 a.m. and 2 p.m. with a menu featuring seafood options, carving station, vegetarian options, and more. Findlay Brewing Company will be open 11 a.m. – 8 p.m. featuring their regular menu with special Easter Eggs hidden in and around the taproom with fun coupons and freebies! Enjoy all that Findlay has to offer by visiting our museum! While our museums are all open during the week as well, take advantage of their weekend hours and have fun with the whole family. The Mazza Museum, home to over 11,000 individual children’s book illustrations, is open on Sunday, 1 – 4 p.m. and admission is free. Find your favorite illustration, read your favorite books, and have fun in the hands-on area as well. The Children’s Museum of Findlay gives children the opportunity to learn by doing with exhibits representing different industries and activities in Hancock County – like becoming a firefighter, a banker, a farmer. going camping, or taking the stage! The Children’s Museum is open Saturdays, 10 a.m. – 5 p.m. and Sunday, Noon – 5 p.m. Learn more about our heritage – and have fun doing it by visiting the Hancock Historical Museum! The Historical Museum has a variety of exhibits and buildings dedicated to Hancock County’s history, including a building and transportation room, government center, and more. The Historical Museum is open on Sundays from 1 – 4 p.m. The Black Heritage Library and Multicultural Center is open the first Saturday of the month from 11 a.m. – 2 p.m., so don’t miss your chance to visit this unique location in Findlay. The Library has exhibits celebrating all cultures around the globe, with a wide variety of educational supplies available to borrow, unique displays, as well as the only location in the world awarded the Smithsonian Institute’s Black Wings exhibit. Keep warm this winter, but don’t hibernate!  Get out and enjoy all that Findlay and Hancock County has to offer! There are so many great locations around the area that have talented local artists playing every weekend. Check out some of these spots and see who is playing! For more information about what is happening in Hancock County, visit our event calendar. We hope to see you out and about in Hancock County this weekend!